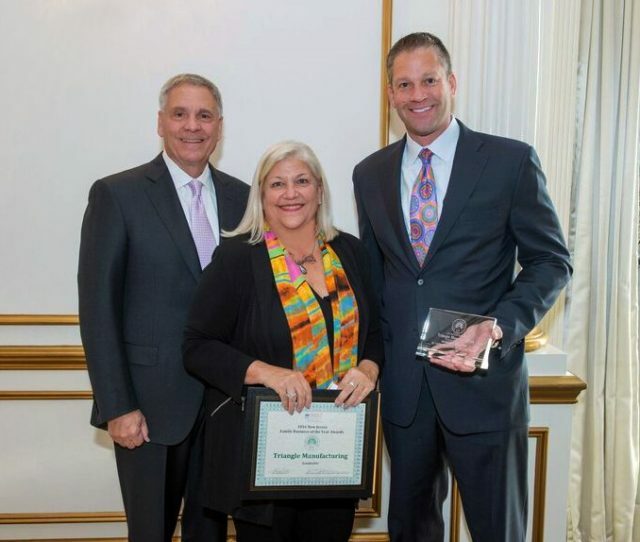 Each year, Fairleigh Dickinson University’s Rothman Institute of Innovation and Entrepreneurship coordinates with other companies to honor New Jersey’s best family businesses. In conjunction with sponsors and previous recipients, representatives from the Rothman Institute review dozens of nominations and choose a winner for each category: Under $10 million in annual sales and over $10 million in annual sales. Triangle is honored to have been selected as one of the five finalists for the 2016 New Jersey Family Business of the Year Award in the over $10 million in annual sales group. In 1955, William Strohmeyer left his job as a machine shop engineer in the aerospace industry and founded Triangle Manufacturing. More than 60 years later, Triangle has become a leading provider of instrumentation and implantable devices for all facets of the medical industry. Willie’s son Neal is the CEO, his daughter Diane is the Director of Strategic Sourcing, and his grandson Dax is the President. The Triangle extended family now includes 250 associates working in four state-of-the-art-facilities in Upper Saddle River, NJ. The “roll up your sleeves and get it done” spirit that Willie fostered still thrives at Triangle today. The 24th Annual Family Business of the Year Awards Luncheon took place on October 26, 2016 in Livingston, NJ. The 10 Honorees were recognized at the luncheon and will be included in the December 2016 issue of the New Jersey Business magazine which is published by the New Jersey Business & Industry Association.